MULTICAM: A honey of a sign! 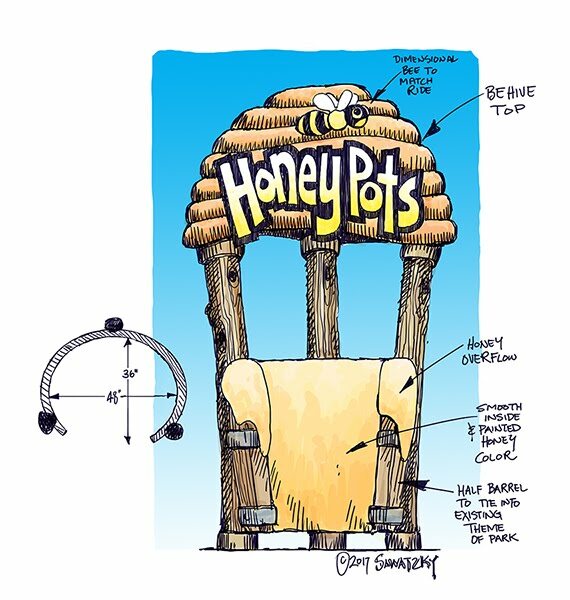 We'll be building two copies of the HoneyPot sign. One will go on the operator's booth while the second (With a sculpted bee) will be positioned at the start of the queue. 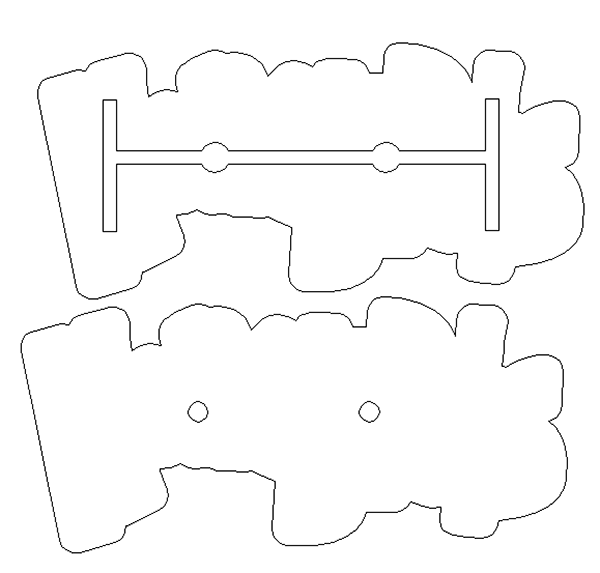 The routing file was created with three layers, rather than the two the concept art suggested. 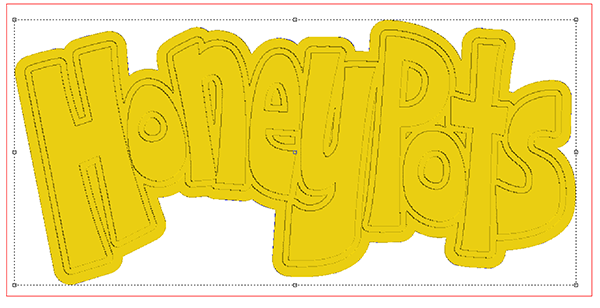 This is so the sign will better match the many others already in the park. The sign is to be fabricated in three layers with a welded steel frame laminated into the center layer. 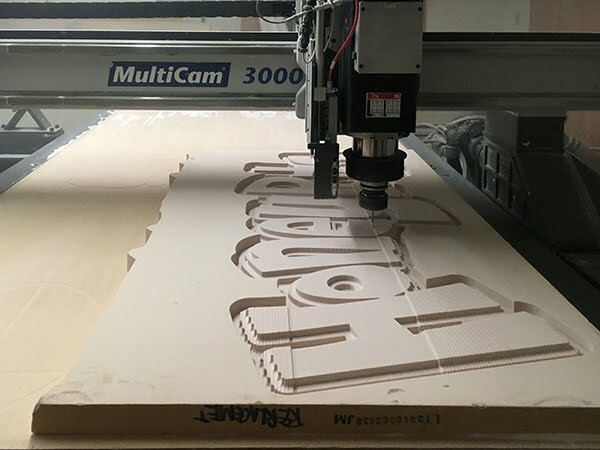 Once the file was created in EnRoute I threw a scrap piece of 30 lb Precision Board onto the router nd set the machine in motion.